Maybe I picked a bad night but this place was heaving with the o aye Oyston 'Fylde Coast Exective' set in twin set and pearls, golfing jumpers and a faux superior feeling - for all that trying to get served at the bar was worse than at one of the manic spoons in Blackpool. Gave up on it and left. It may be greene king owned but the they have a great selection of guest beers and a great clientele who know their beer. Food is really good and is possibly the best in the area. Si get yourself here folks it's great. Paid a 3rd visit which again saw a busy pub, mainly serious drinkers, and a slightly better half of something 5ish % from a bigger micro. Hides it's Greene King ownership well. Long time since we had been here and we were met with something of a surprise as there was a beach party going on and the entire floor area was covered in sand (and quite deep sand at that!) Goood fun though and as usual the beer was fine (Enjoyed Crouch Vale Amarillo and Osset Silver link). 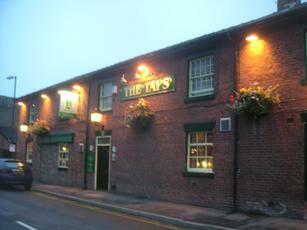 This is one of the best pubs in the area and always well worth a visit. I think it is owned by Greene King who obviously know the value in keeping the guest ales flowing!! 1st visit here since the previous long standing manager has gone. Everything seemed in order from my previous visits. two ales from Liverpool Organic, 1 Acorn and 1 Lymestone were sampled, all in excellent condition.